Pra Somdej Pra Pratan Nai Bote Uposatha Shrineroom Buddha Meditating on three tiered dais (Thaan Singh) preferred block press (Niyom). 'Nuea Pong Dam' (Black Sacred Muan Sarn Powders). Released circa 2500 BE or before. 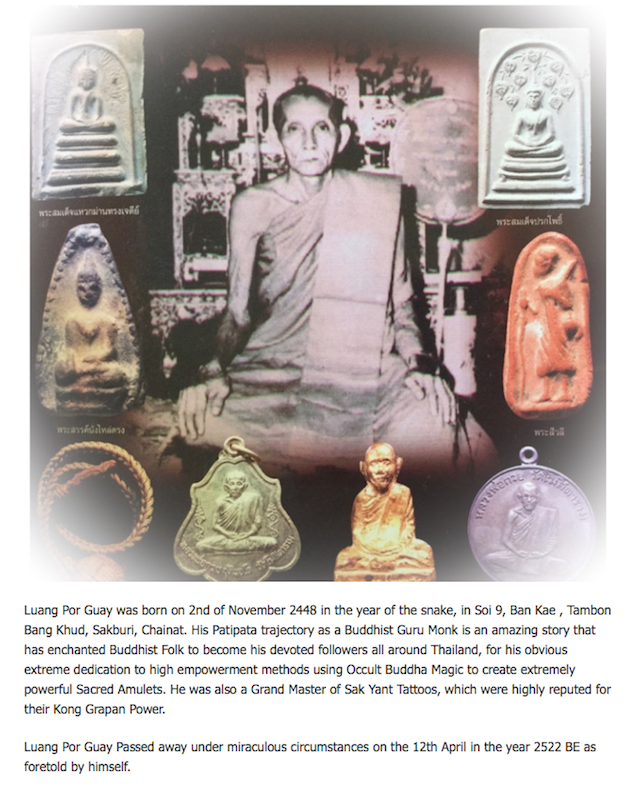 Extremely rare and highly favoured by the Devotees of Luang Por Guay, the Pra Somdej Pim Pra Pratan Nai Bote had many different versions, because mostly, Luang Por Guay would press this model from various Pra Somdej models which he would take to create new block presses, as he visited different temples to attend empowerment ceremonies and chant the Buddha Abhiseka. 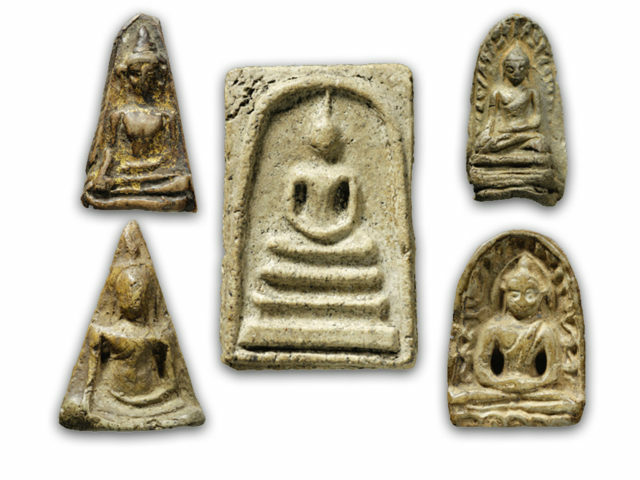 Whichever temple he liked the Buddha image in their Uposatha Shrineroom, which had amulets in its image, would be taken and used to make a block press, and create a Pra Somdej Pim pra Pratan Nai Bote. The Sacred Kata 'Sukato Arahang' is embossed in Khom Sanskrit Agkhara either side of the Buddha. 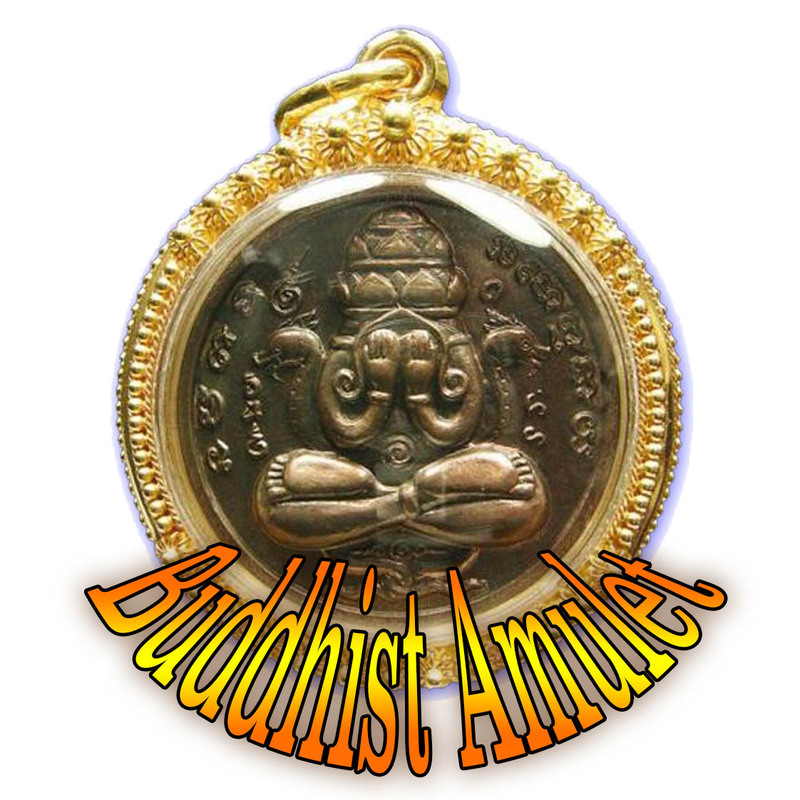 The amulet is for Prosperity, Auspicious Karma, Merciful treatment, Protection, and to Deal with all Obstacles and Inauspicious Karmic Effects. The Pra Somdej Pim Pra Pratan Nai Bote (also sometimes calls 'Pim Pra Pratan Nai Wiharn'), were made in various kinds of Muan Sarn sacred Powders; 1. Pong Puttakun (white), 2. Pong Nam Man (Yellow-Beige Oily texture), 3. Pong Pasom Bailan (Black Parchment Powders), and 4. Nuea Daeng (red Eearthen and Herbal Powders). 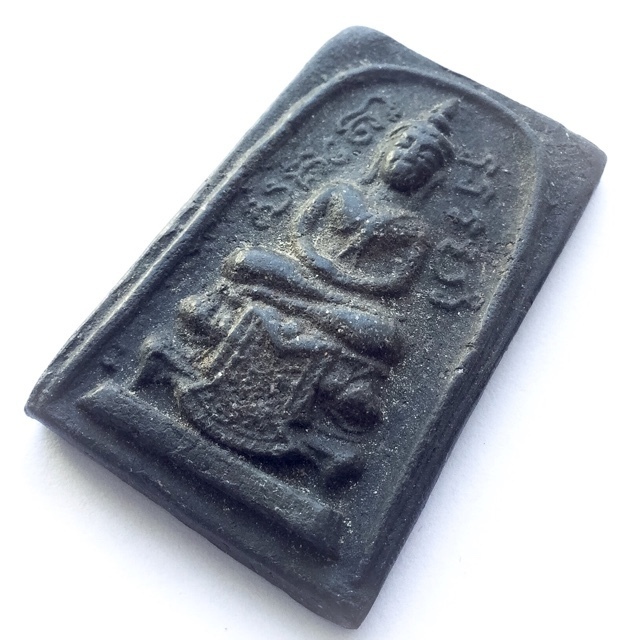 The front face featured many different design models depending on which temple Luang Por Guay had taken the original design from to make the block press mold. But all of them of course feature the Buddha seated in Meditation on a dais.